Prior to your sitting the 50 questions computer test of the Highway Code, an approximately 15 minutes exam will test the candidate for what is known as the “Colour Blind Test”. The test comprises 8 questions. Only an 8 / 8 results will permit you to move on to the Computer Test next. What happens if a candidate fails to get through the Colour Blind Test? Anyone failing the test would be given a letter asking him or her to go to the nearest J.P.J. office. An officer there will interview you with regards to your problem regarding the colour blind issue. You will then be given a letter requesting you to go to the nearest government clinic to do an eye test. What does the Colour Blind Test comprise of? Basically 3 types of questions are asked of the candidate. The first is to test the ability of the candidate to distinguish a “Number” or “Diagram” within a myriad of colours. This section is rather tricky. If you are unable to comprehend what has been explained thus far, kindly look at the examples of diagrams provided at the onset of this article. The second type of questions tests the students’ ability to read “car registration” numbers, for example BXY 3850, BVY 8883 and so forth. The final aspect of the test is a simple test of basic colours like Red, Green, Yellow and so forth. The ability to read basic colours is important. Can’t See Colour – It’s Dangerous! A driver has to be able to see and understand the functions of a “traffic light” system. Failure to do so will land the driver into accidents. 1) Command of Bahasa Malaysia or English being poor. 2) Inability to manipulate the computer well. 3) Some are extremely nervous. As a last word of advice before signing off, I wish to remind potential students to “brush” up on their ability to use the computer. This is essentially pertinent, especially to the older candidates. Most driving schools operators have computer sets in their offices nowadays. Make arrangements to better yourselves in handling the computer well. Some extra time spent at the driving operators’ office will pay off eventually. Best of luck in your attempt to pass the “Colour Blind Test”. So can i still get a license if i am a colourblind? In short, yes, you can still get a license. If you cannot get through the computer “colour blind” test, you have to go to the nearest J.P.J. office. J.P.J. will interview you and give you a letter. You will be asked to go to the nearest clinic for an eye test. Doctors will conduct a simpler eye test to determine your condition. if i’m really colour blind,can i pass through the drving test? or straight away tell the intstructor that i’m colour blind so that i don’t need to take colour blind test? Have you been issued a L.D.L. or “L” license? You yourself should realise if your colour blind deficiency is effecting your ability to drive. If it is, then you should rightfully inform J.P.J. so that proper tests be carried out. that’s mean i still can drive is it? but i need to attend some special course right? 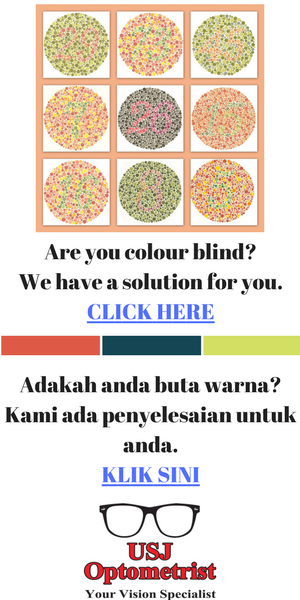 If you fail the computer colour blind test, you’ll have to undergo a test at a government clinic. so the result is i’m really colour blind. how am i going to take the driving test if i got colour blind? Submit the hospital report to the J.P.J. authorities. J.P.J. will decide should you be issued a driving license or otherwise. sir…i can see color bt hv some number on some color i cant see..am i a colourblindness?? As long as you cannot get a 8/8 result in the colour blind test, you will unfortunately fail the test. i am a colour blind, so unfortunate… if jpj fails my application to drive does it mean i could never drive anymore in my life? Don’t despair, see J.P.J. first. See what advice they give. Surely, there must be a way out to solve your problem. It depends on how fast your driving instructor works. It shouldn’t take more than 2 – 3 days. a) Uncertain how to handle the computer well. b) Be careful this time around. c) Do not make silly mistakes. If you really cannot pass the above computer test, then go to any nearest JPJ office. See any office then. Explain your predicament to them. Get a driving school operator to assist you if necessary. thanks cikgu yap..but can i ask you one more thing..as i said before, i was taken the computer test 3 years ago and i failed the color blindness test..it is a long time right…so can i repeat the course and take the test without going to JPJ first? A good idea. Attend the 5 hours KPP course first. Then site for the colour blind test and 50 questions computer test. so, how about my name in the JPJ? Because after I failed the first test, I continue to take the 2nd test that mean i repeat but my name has been blocked to take the test and clerks at the test palce said, I must go to JPJ to release my name first from the blocked. and now been 3 years passed and I did not do anything .. it is my name is not blocked by the system again if I repeat the test at present? It’s possible your name may still be blocked even after so many years. The best alternative is for you to see J.P.J. They will advice you what to do. The computer should possess record of you having passed the eye test. You are therefore exempted from doing the above test again. hi cikgu yap recently i had fail my colour test and the person in charge asked me go to JPJ and after i arrived i had been ask to do the colour test again and i pass..so after that do i need to redo the colour test again or direct skip to do the 50 question?? If JPJ indeed has done a colour test with, they should give you a certified letter. With it, you can go back to the computer center to do the 50 questions computer test. I get my color vision lens from USJ Optometrist, the normal optical shops in PJ dont do it. My optician referred me to see the optometrist in taipan subang jaya. I got his shop number from the receipt, 03-80119038. Look for Daren. Need to make appointment because he always see patients in hospital and eye centre. Hopefully those who require assistance can look up Deran and get his help. Hi Cikgu Yap, I going to Canada to further studies. Do I need to take license test there or can I get it done here? Thank you. I believe it is tougher to get license there, i heard they are strict. Is it true that international license can only last for 1 year? Which also mean i have to retake every year when i come back to malaysia for holiday? Thank you Cikgu Yap. Getting license overseas is definitely costlier. IDL lasts one year. Come back to renew or send it back to friends or family to renew. Thanks Cikgu Yap, I will do it locally and renew when I come back Msia for holiday or courier to family. That is a really great news for me if can renew without having to travel back to retake the test. I think you have been careless. you will now have to go for eye test at a government hospital. I am planning to purchase second hand car. Kindly advise what is the most suitable car to purchase and how to avoid being cheated. Get a trustworthy mechanic friend to look over the 2nd hand car carefully. He should be able to provide you good advice. Hi Cikgu. I am now 17 years old and most of my friends have already passed their undang test. However, I still haven’t got the time to sit for it but the problem is I have colour blindness, but it doesn’t mean I can only see white and black. I can see most of the basic colours though sometime will have some mistakes. What I can’t see is when the diagram showing lots of colour dots and I have to notice the number in it. So can I still get my driving license? As my article stated, colour blind is dangerous for both the driver as well as other road users. If you can’t pass the computerised colour blind test, then you’ll have to see the officials of JPJ Department. They will then decide if you can be allowed to take up driving eventually. Still blacklisted. 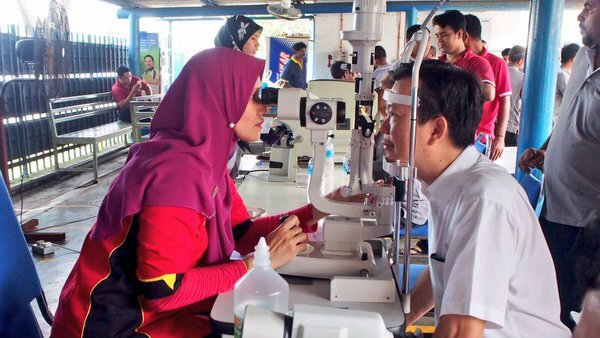 Do eye test at government clinic. The cost is minimal. I have colour blindness too.. but I can see the basic color. Just wana ask can I go n see the doctor first and then go to jpj? Go for computer test first. Then go to JPJ.